Along with our other options of Flexible partials, tooth shade, clear, and pink clasps: we have our Flex-sil. 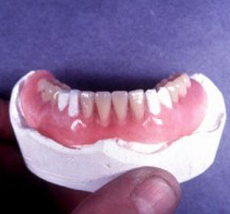 It’s a premium technique of Partial Dentures with over 30 years experience proving to be a quality and a reliable appliance for your patients. Flex-sil • eliminates wear, stress and torque that traditional metal clasps. 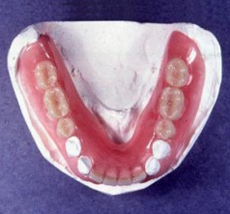 It can postpone or eliminate total loss of periodontally involved teeth, Improves tooth stability. Flex-sil • also no special “preps” or impression techniques are required. Minimizes adjustments and chair-time. It allows low cost add-ons, repairs and relines.